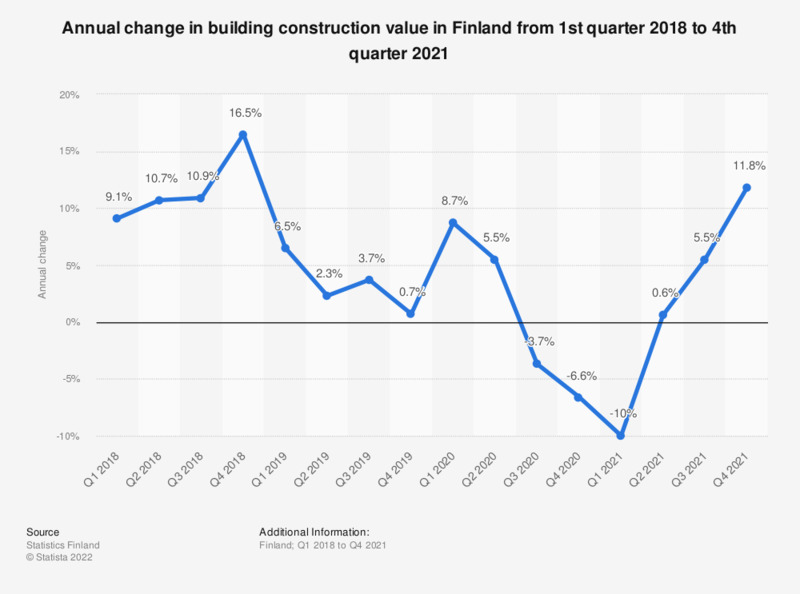 This statistic shows the annual change in the value of turnover from building construction in Finland from Q1 2017 to Q2 2018. During the second quarter of 2018, the turnover value for the building construction industry rose year-on-year by more than ten percent. According to the source, the figures represent the annual change in the turnover value for building construction for the mentioned time period to the corresponding time period twelve months back. The base year for the index value is 2015.